Following the request, her fans decided to do just that. And then some. Friday’s airing of the RuPaul’s Drag Race Season 9 reunion saw Valentina in hot water over what many queens perceived to be a lack of ‘stepping in’ when her fans went overboard on social media. After being a frontrunner for much of the season, upon Valentina’s controversial elimination, many of her fans went on the attack against the other contestants. Nina Bo’Nina Brown and Alexis Michelle are two of Valentina’s current season competitors who claim they received hateful messages and even death threats from Valentina’s fans. During the reunion, Valentina attempted to remove herself from responsibility for her fans’ actions. “I don’t agree with that kind of behavior, because that’s not the kind of person that I am,” she said from the stage, also insisting she’s not savvy with social media. It was an excuse that some of the other queens didn’t buy, with Peppermint, Alexis Michelle and Shea Couleé all clapping back. “I’m not saying she encourages that, but you could have said, ‘I do not agree with the way you guys are treating this girl. Please stop,'” Peppermint said. You can watch the entire heated exchange here. 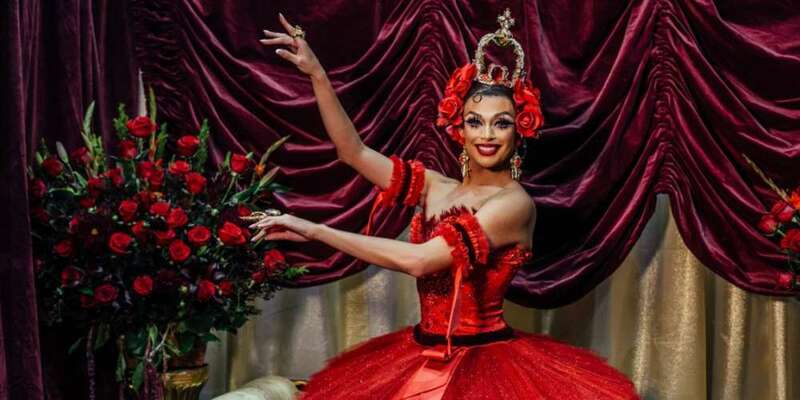 Backlash against Valentina following the reunion’s airing is likely what sparked her red roses idea, but what was surely intended as a thoughtful gesture has since become more akin to social media terrorism. Not stopping with Valentina’s “Season 9 sisters,” as she mentioned in her video, Valentina’s fans have bombarded the social media accounts of queens from every season of Drag Race. This Reddit list of Queens who have been ?’ified is keeping track of those who have received the red roses treatment on social media, and it’s a pretty comprehensive roster of Drag Race alumnae, in no way limited to Season 9 queens. While many queens haven’t bothered to address what has quickly become a social media trend — maybe simply ignoring the onslaught of red roses is the best course of action? — at least one queen, Milk, has responded, subtly asking Valentina’s fans to knock it off. Roses are red, Violet's a winner, you don't need to post flowers on my insta, I'd prefer chicken dinner ??? 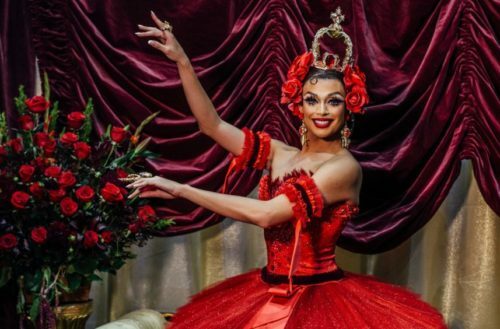 Adore Delano yesterday posted something sweet about Valentina, but was it an attempt to calm down the fans who are (still) posting red roses incessantly on her Instagram shots? All joking aside we all know how much I loved this season of @RuPaulsDragRace and Valentina is a star. ? ?